All-Area Conference Championship Team Member. MSU Rookie of the Year – 1985. Honorable Mention All-CCHA – 1987. Honorable Mention All-American – 1987. Co-Captain – 1985, 1986, 1987. U.S. Olympic Team – 1988. U.S. World Cup Team – 1991. New York Rangers – 1988-1991. 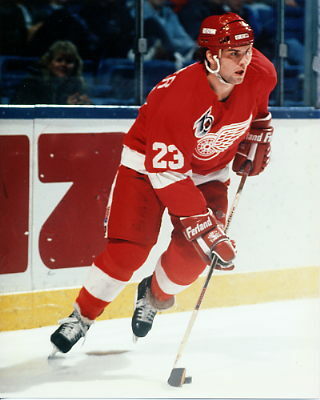 Detroit Red Wings – 1991-1992. St. Louis Blues – 1992-1995. San Jose Sharks – 1995-1996. New York Islanders – 1998-1999. Detroit Red Wings – 2004.